Wednesday evening. Hump day. 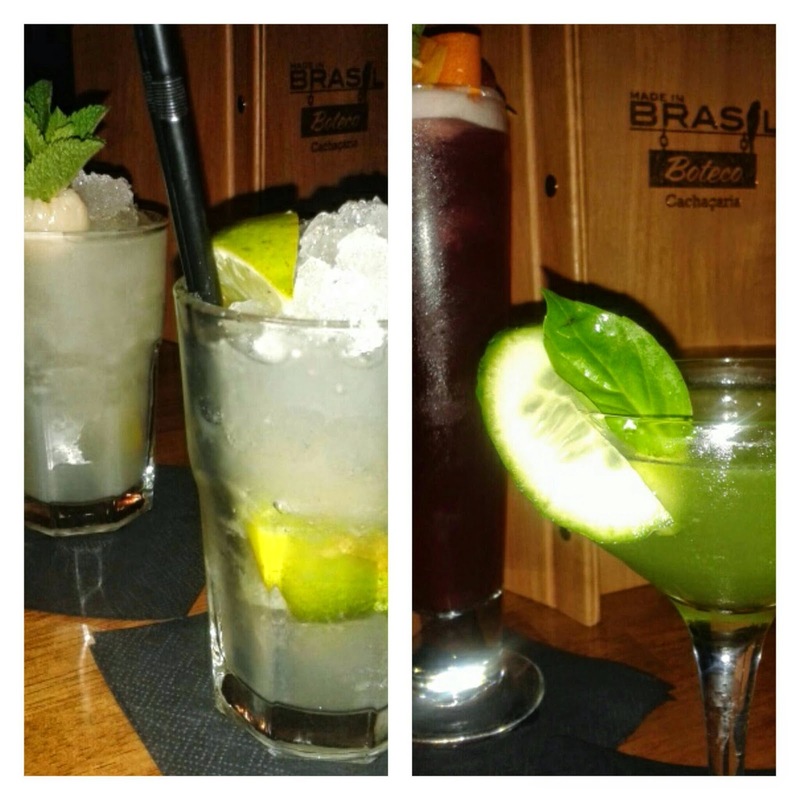 It's time to head on down to Camden Town and chill in the Brazilian vibe of Made in Brasil Boteco. One of Camden's latest openings, a sister to the Made in Brasil beach shack style Brazilian restaurant on Inverness St, this favela-style cachacaria is perfect for an authentic taste of Rio. The cocktail list is awesome. Brazil's national spirit Cachaca, is mixed with sugar and muddled with fresh lime over ice to make a classic Caipirinha. There are many version of this classic on offer, including lychee, passionfruit, and a chilli raspberry caipirinha. The cocktail list doesn't just restrict itself to caipirinhas, but many other delicious and refreshing beverages including a Floripa Martini, and the Mazzaropi, both Brazilian, as well as all your usual cocktails from around the world. Frango a passarinho, Camarao na morango, Beringela 'a parmegiana', Acarajé, Bolinho de arroz. The petiscos were amazing. Already a Spanish tapas fan, now I find that the Portuguese or Brazilian version is every bit as good. If not better. (I didn't say that - Tapas, I still love you.) 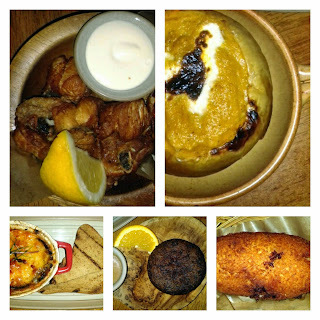 From the traditional street food dishes such as bolinhos (dumplings) and coxinha (chicken pastries) to creamed pumpkin prawns (served in the pumpkin skin) and the genius pasta-less aubergine lasagna, a few seemingly small dishes were more than enough for two of us. The problem being, we need to go back to try the rest! Desserts. A must. Even for non-dessert fans. 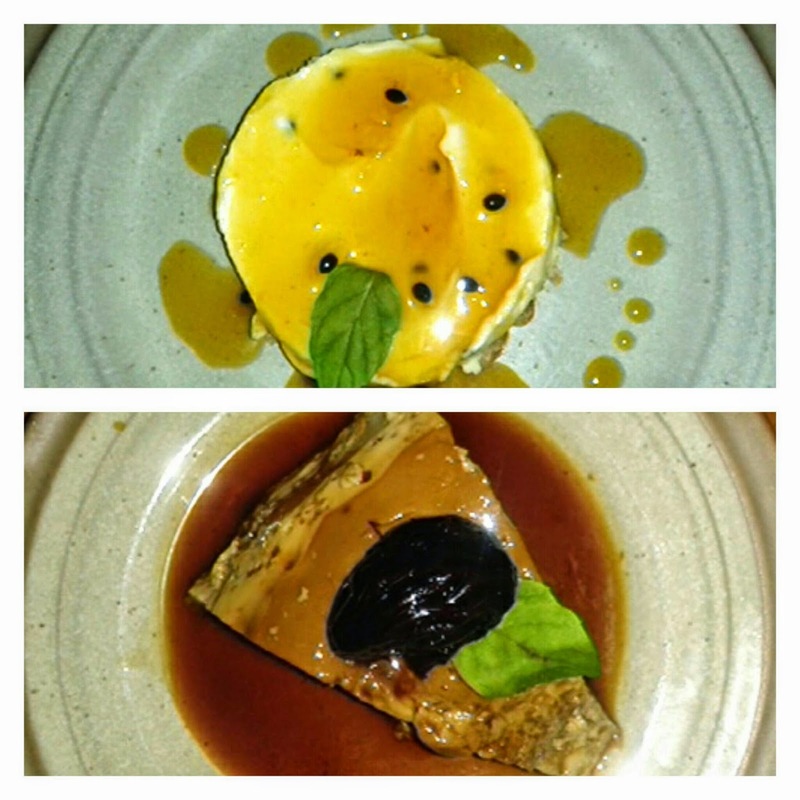 The passionfruit cheesecake is really, really, REALLY superb. A Brazilian créme caramel also made the cut, all food beautifully washed down with a bottle of Vinho Verde. The wine list isn't long, I have to say, but with a Carnival (geddit?) of more than palatable cocktails, you won't even notice. Brazilian music, eclectic decor and most helpful friendly staff, next time you're in Camden, go and taste the Caipirinhas.